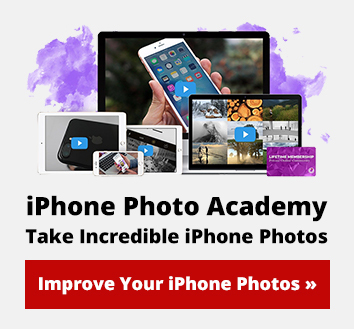 Are you struggling to find the best iPhone tripod for your photography? With so many different tripods available, which one do you choose? In this article, we compare the five best tripods for iPhone… and help you pick the right tripod for your needs. Shooting sharp, shake-free photos is easy with the Joby GripTight ONE GorillaPod. Its bendable legs offer incredible versatility, making it perfect for uneven surfaces. You can even wrap the legs around poles, branches, and railings.  The plastic ball head lets you adjust the angle of your iPhone.  You can rotate the ball head 360 degrees, as well as up and down. It’s quite stiff to adjust, but this means your phone won’t wobble around.  You can shoot with your iPhone in horizontal or vertical orientation. But your phone does have to dangle over one side when vertical. As a result, the tripod can topple over if you’re not careful. Adjusting the legs will help to balance it. The GorillaPod comes with the Joby GripTight ONE universal tripod mount. The mount allows you to attach your phone to the tripod. The GripTight ONE mount is spring-loaded, allowing you to get your iPhone in and out quickly.  It’s compatible with all models of iPhone, including the iPhone X, iPhone XS, iPhone XS Max, and iPhone XR. The mount has rubber pads to protect your phone and keep it in place – even when it’s hanging upside down from a branch!  While the grip is quite secure, I find my phone does move slightly if I knock it. You can remove the mount from the Gorillapod.  The mount folds completely flat as shown below. 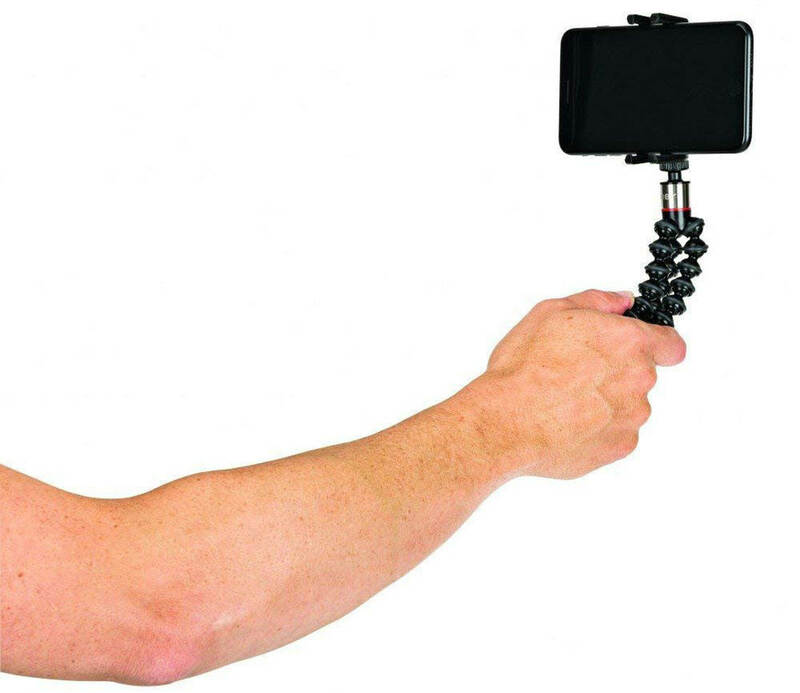 If you shoot video, push the legs of the Gorillapod together to use them as a hand-held grip.  This helps you shoot steadier footage on the move. The Gorillapod is lightweight but feels very durable. And it’s compact enough to fit in a jacket pocket or small bag when folded down. 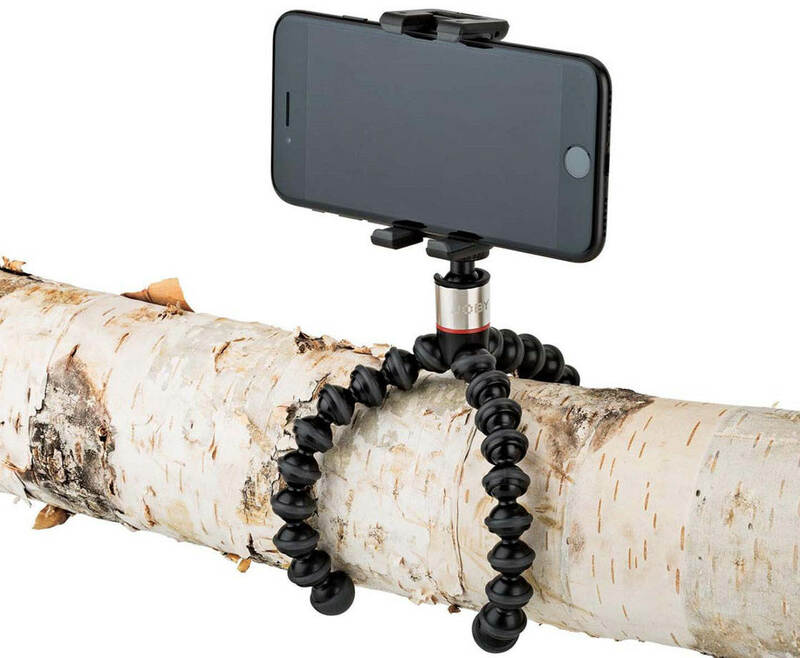 If you want a compact iPhone tripod with ultimate flexibility, the GorillaPod is an excellent choice! 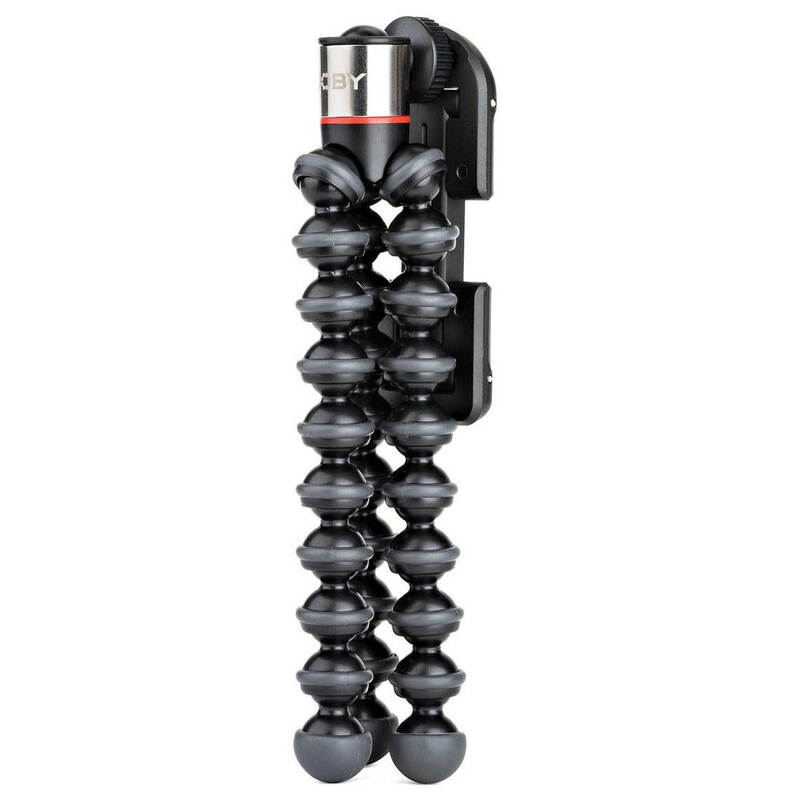 The Joby GripTight ONE GorillaPod costs $27.08. Are you’re looking for a low-priced tripod that offers excellent value for money? 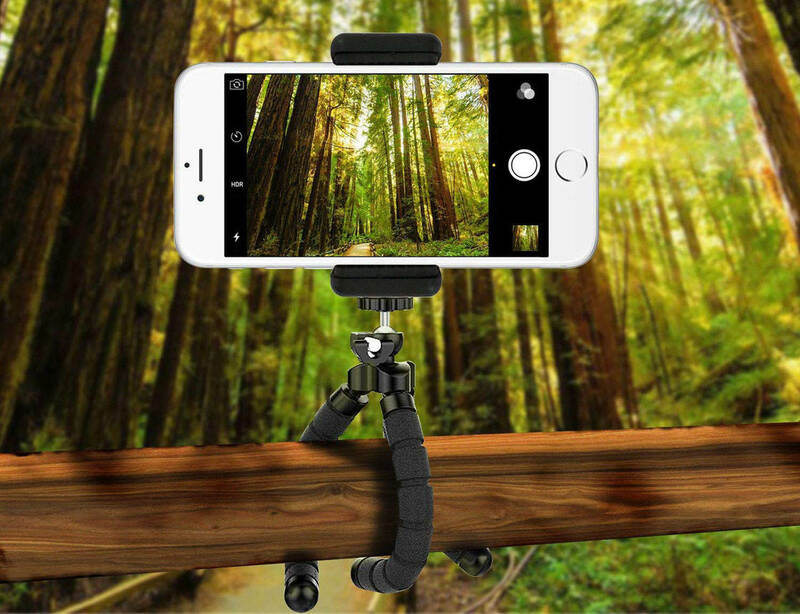 You can’t go wrong with the UBeesize Smartphone Tripod! Its flexible legs can bend and wrap around objects. The legs have a foam coating, so they may not be as durable as the GorillaPod. But they’re definitely strong and sturdy. The UBeesize is 4 inches taller than the Gorillapod, giving your camera some extra height when shooting. To shoot from a lower angle, bend the legs to reduce the height of the tripod. The ball head allows for 360-degree rotation and switching between horizontal and vertical orientation. This tripod comes with a sturdy spring-loaded universal mount. It grips my iPhone very securely, with no chance of it falling out. The UBeesize also includes some extra iPhone photography accessories.  You get a Bluetooth remote shutter which lets you take pictures without having to touch your phone.  This is perfect for capturing self-portraits or group shots where you want to appear in the photo.  It also means you won’t introduce camera shake as you don’t have to touch the phone. You also get a couple of screw-thread adapters for attaching digital cameras to the tripod. The UBeesize is unlikely to hold the weight of a large DSLR, but it’s strong enough to take a compact camera. For less than $14, the UBeesize offers incredible value for money. And it doesn’t look or feel like a cheap product. I really can’t fault this tripod! It’s functional, sturdy, and flexible. And the remote shutter is an added bonus that most other tripods don’t offer. 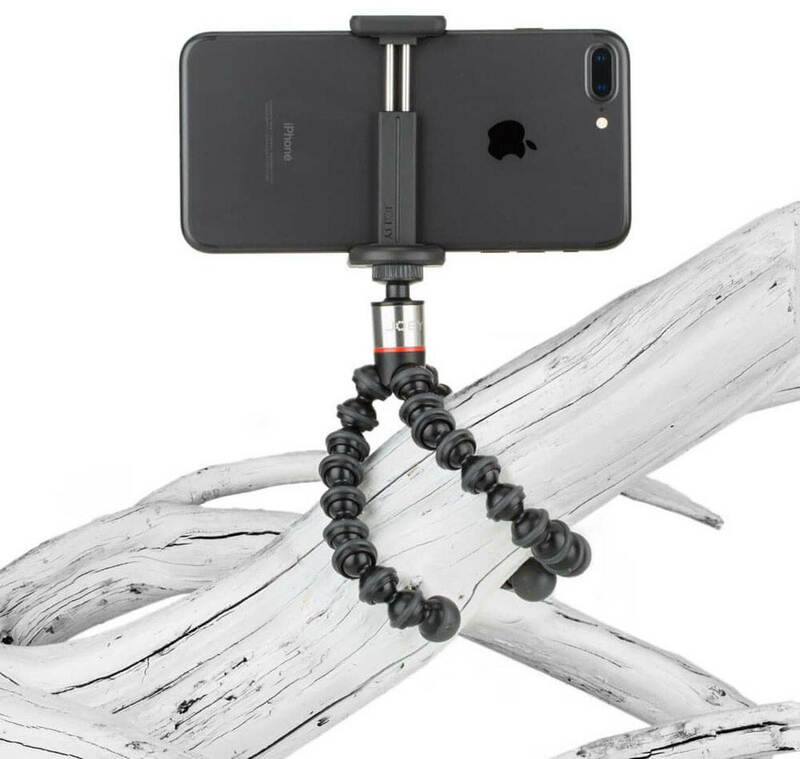 If you’re looking for a great iPhone tripod at a budget price, the UBeesize is the best option out there. 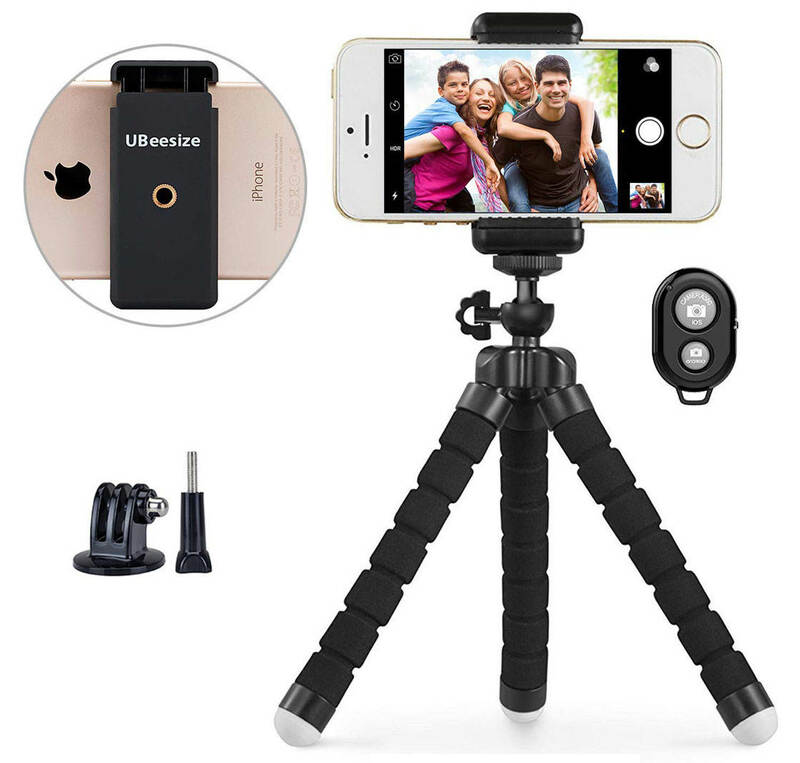 You can buy the UBeesize Smartphone Tripod with remote shutter for $13.98. Does the idea of carrying a tripod put you off using one? 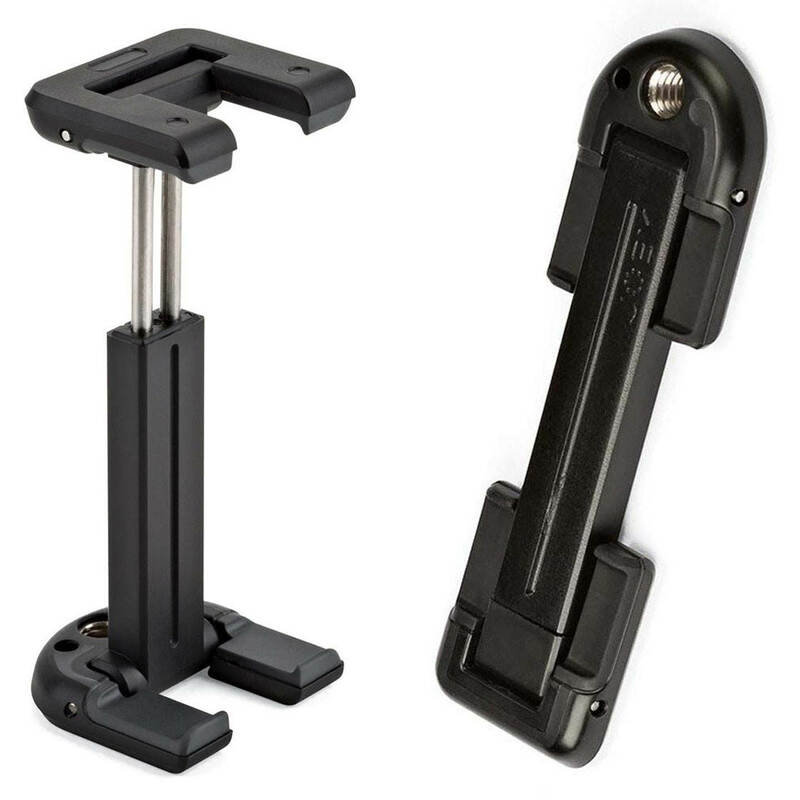 If so, the Joby GripTight ONE Micro Stand is for you! This super-compact, pocket-sized tripod is extremely small – especially when folded down. Despite its tiny size, the Joby Micro Stand is very stable. It works best on a tabletop or other flat surface. But its rubber feet allow it to grip quite well to uneven surfaces, such as the rock in the example below. You can adjust the position of the legs for increased stability. Due to its super-low profile, the GripTight Micro Stand is excellent for capturing low angle shots from ground level.  The aluminum ball head lets you precisely control the angle of your phone. You can easily rotate the ball head 360 degrees, as well as tilt it up or down. Just be careful not to tilt your phone too far down as it might topple over – especially if you have one of the larger iPhones.  Because of its small size, you can only mount your iPhone horizontally. The Micro Stand comes with the same universal foldable mount that you get with the Joby Gorillapod. The mount and tripod fold down completely flat when not in use. You can keep the mount attached to the stand when folded, or separate them into two parts. If you want an ultra-compact tripod, you can’t get better than the Joby Micro Stand. You can carry it in your pocket, safe in the knowledge that you’ll always have a tripod when you need one! 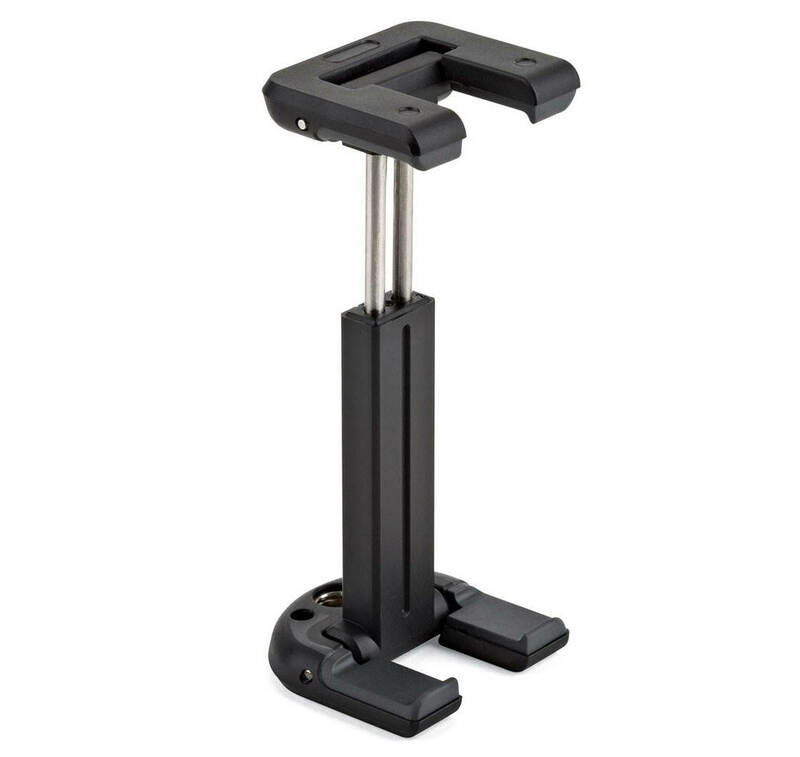 You can buy the Joby GripTight ONE Micro Stand for $19.99. Manfrotto has an excellent reputation for producing high-quality tripods. And the Manfrotto PIXI Mini Tripod is no exception. Its sturdy legs are strong enough to hold an entry-level DSLR (up to 2.2lb/1kg). Yet its compact size makes it perfect for mobile photography. It’s heavier than many other iPhone tripods, but that’s to be expected with a solid piece of kit like this. The ball head allows for 360-degree rotation, as well as tilting your iPhone up or down.  Unfortunately, it doesn’t tilt enough to position your phone vertically. The push-button mechanism lets you easily position and lock the ball head.  Once you’ve set the angle, the ball head locks into place to prevent it from moving. 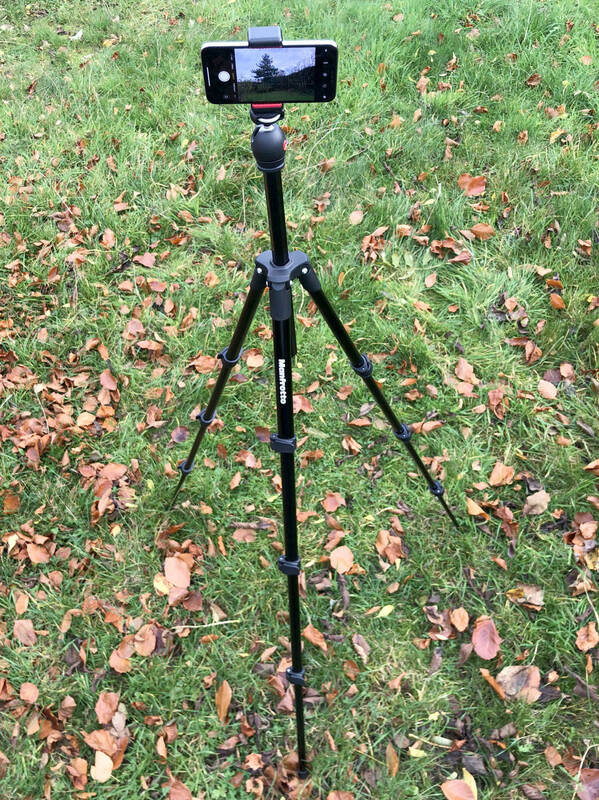 The legs on this tripod only extend to one position, giving it a height of 5.3 inches. It works best on flat surfaces, as you can’t adjust the height of the legs individually.  When the tripod legs are closed, you can use the PIXI as a grip for shooting smoother video footage. You can buy the Manfrotto PIXI with or without a tripod mount. If you already own a tripod mount, you can just purchase the tripod on its own. The Manfrotto mount is spring-loaded and fits all models of iPhone. The mount feels more secure than the Joby GripTight mount. I’d highly recommend the Manfrotto iPhone tripod mount. It has excellent grip, keeping your iPhone safe and secure when shooting hands-free. 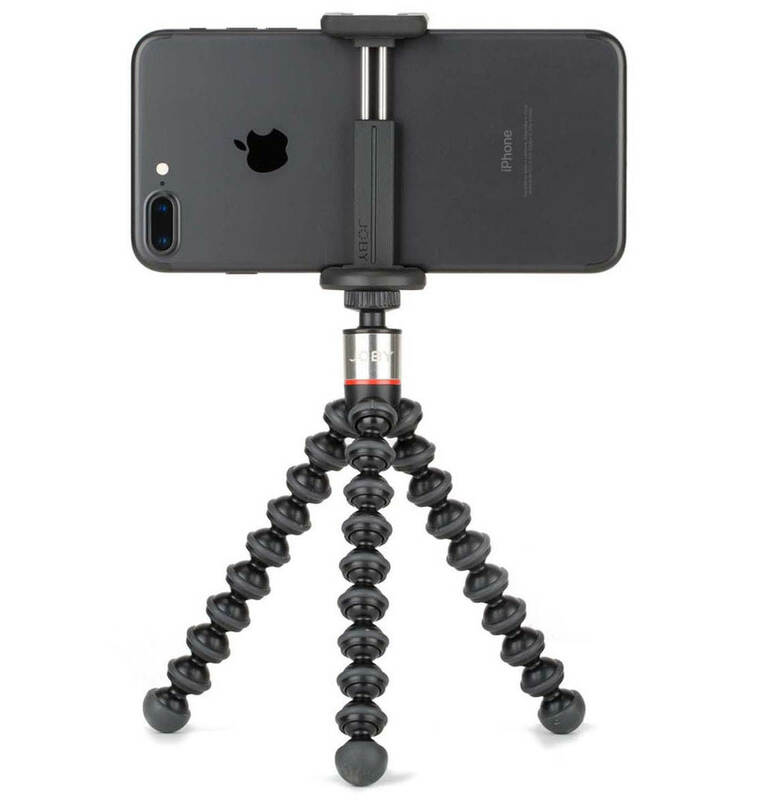 If you want a high-quality, sturdy mini tripod for iPhone, the Manfrotto PIXI is a great choice. 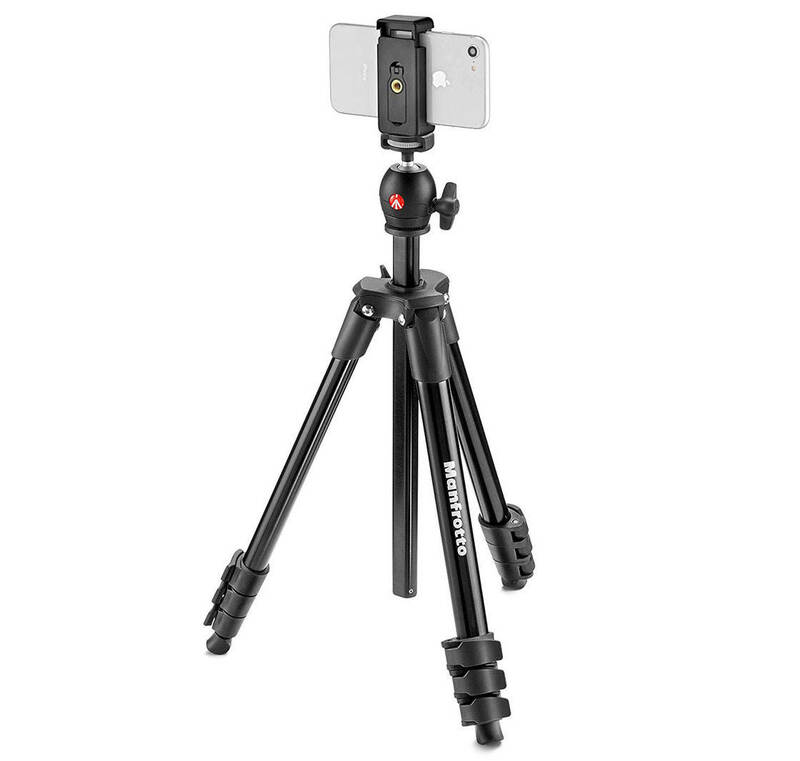 You can buy the Manfrotto PIXI Mini Tripod with universal smartphone mount for $34.99. 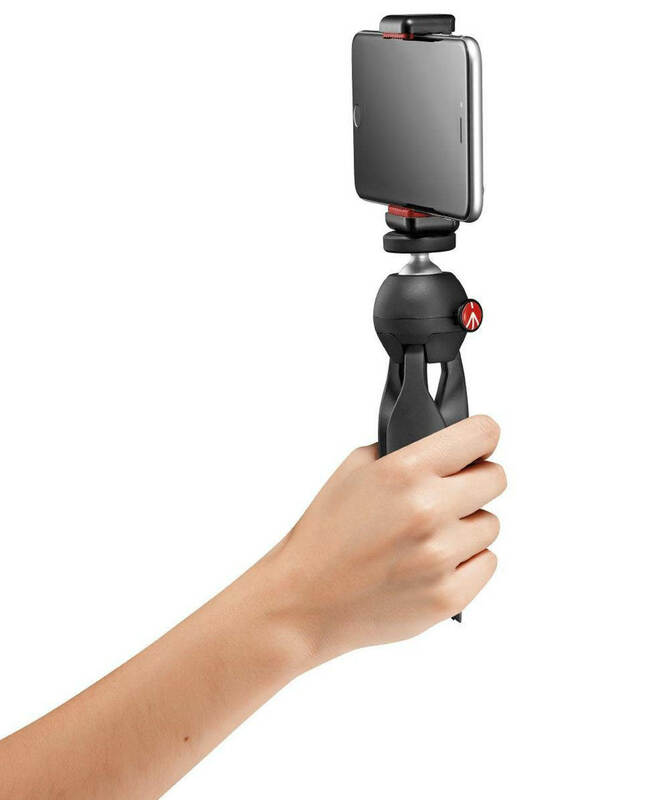 If you already have an iPhone tripod mount, you can buy the Manfrotto PIXI tripod on its own for $17.24. 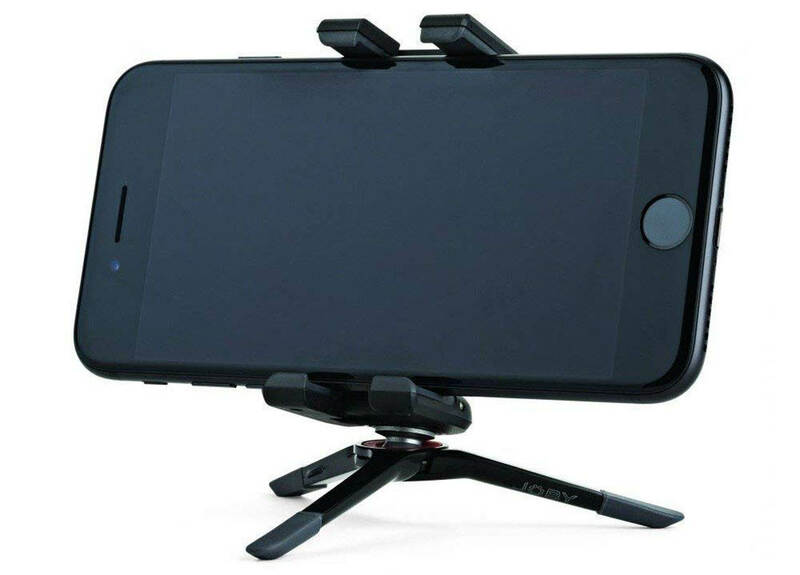 Mini iPhone tripods are perfect for carrying around. But their small size limits your shooting options. You have to shoot from a low angle or find somewhere high up to position the tripod. If you want to shoot from standing height, you’ll need a full-size tripod. A full-size tripod is bulkier to carry around. 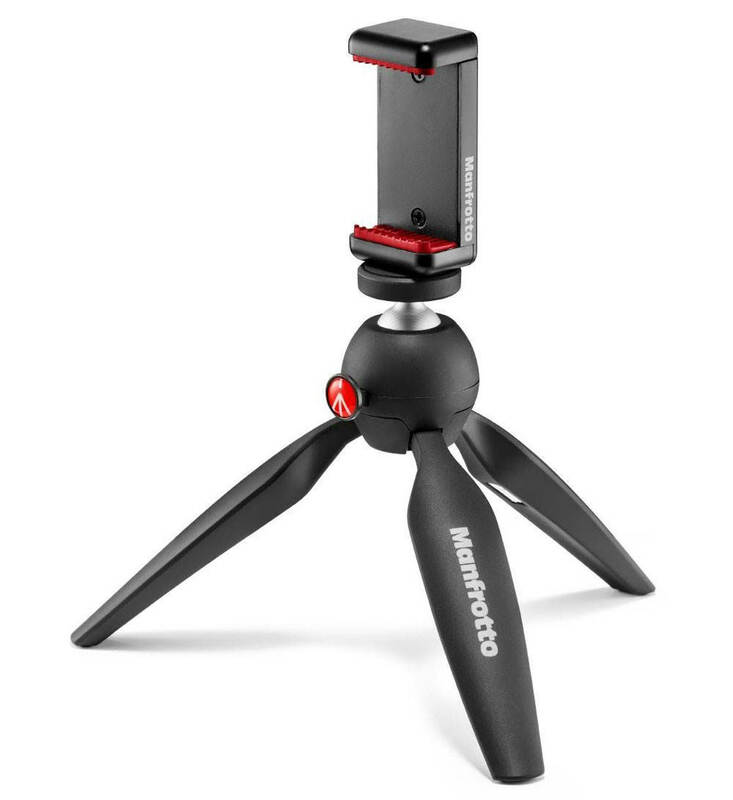 But the Manfrotto Compact Light Tripod is one of the lightest full-size tripods available. And it comes with a padded shoulder bag for comfortable carrying. The legs extend from 15.7 to 51.6 inches. It’s quick and easy to adjust the legs. And it feels very stable at all heights. The ball head action is smooth, allowing for 360-degree rotation and tilting up or down.  You can quickly switch your iPhone from horizontal to vertical without the tripod toppling over. Do you also own a compact camera or entry-level DSLR? This tripod holds a maximum weight of 3.3lb (1.5kg).  So it’s perfect for these cameras too. 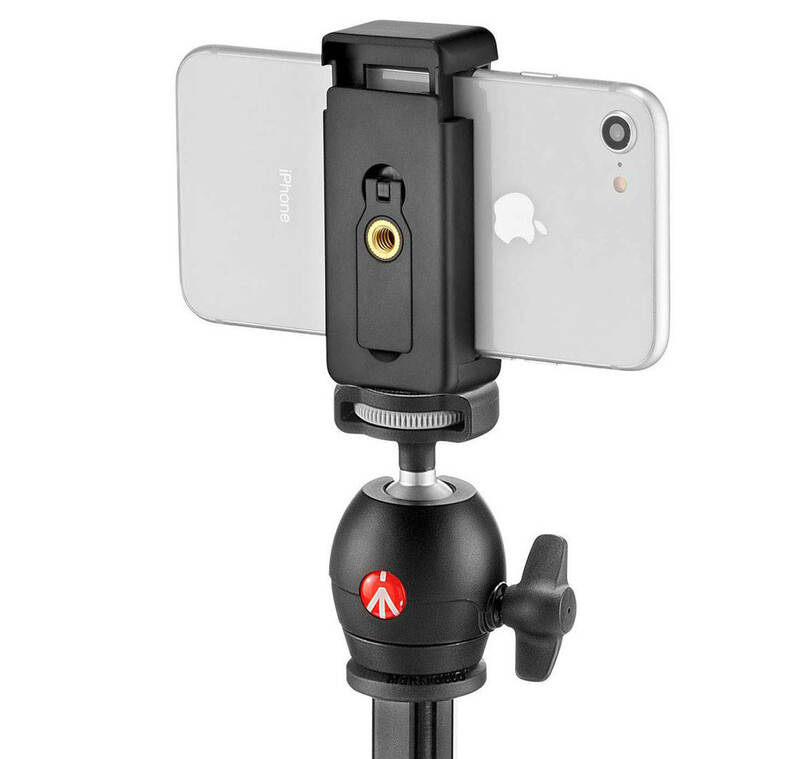 The Manfrotto Compact Light is available with or without an iPhone tripod mount. 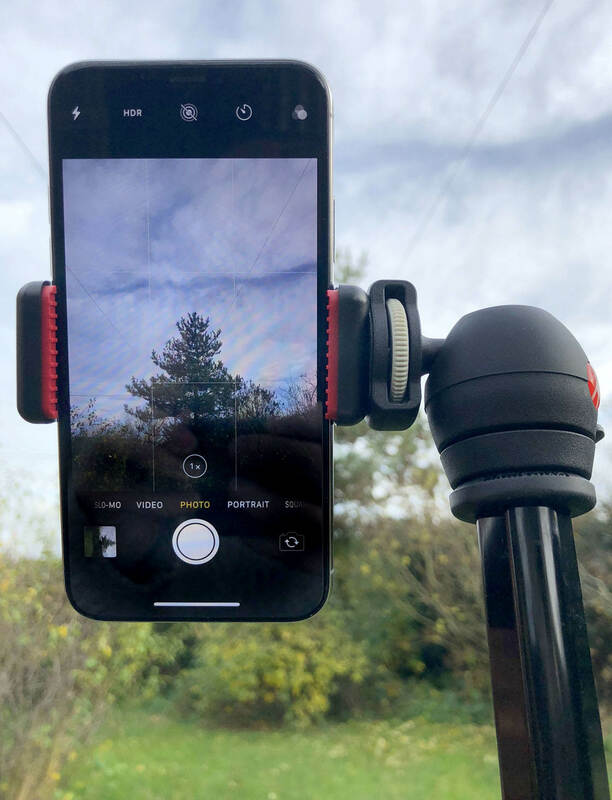 If you’d prefer to buy a different mount, check out our review of the best iPhone tripod mounts. Even if you own a mini tripod, a full-size tripod can be a great addition to your photography toolkit.  It gives you more choice over shooting height and angle. And your tripod will remain perfectly stable when you tilt your iPhone. This full-size tripod will help you capture stunning shake-free shots in any situation.  Use it for long exposure photography, low light, or night photography.  It’s also perfect for landscape photography, still life photography, macro photography, and portrait photography. 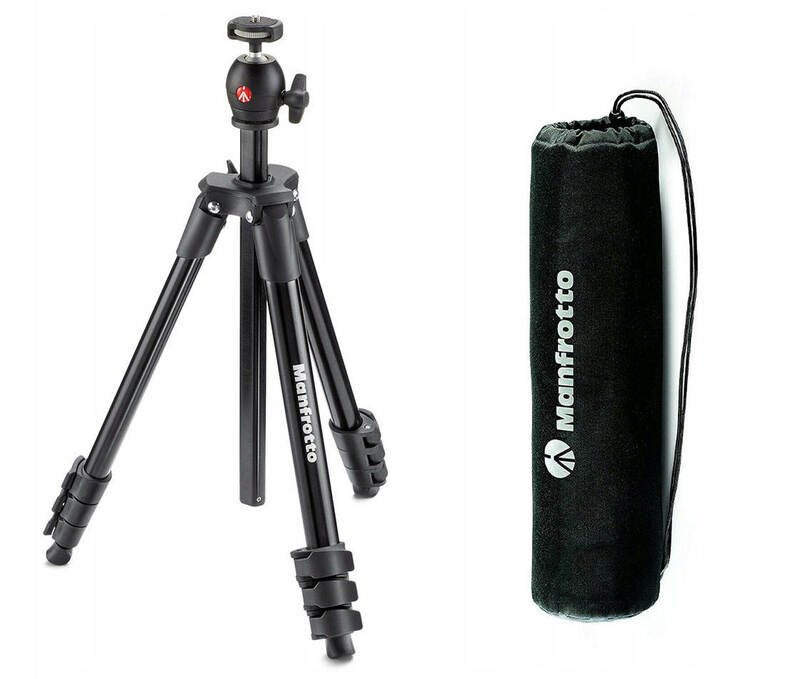 You can buy the Manfrotto Compact Light Tripod for $59.54. If you want the tripod with Manfrotto mount included, the cost is $59.99. You’ve discovered five fantastic tripods. 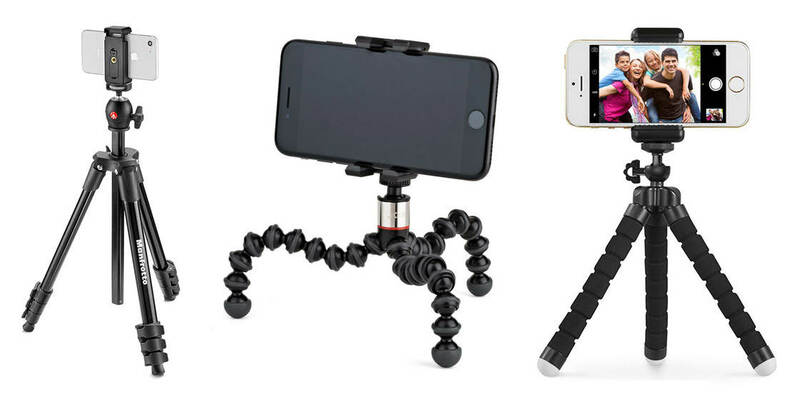 But which is the best iPhone tripod for you? Read on, and let us help you pick the best iPhone tripod for your needs. Do you often shoot in locations where there isn’t a flat surface to place a tripod? Do you want a flexible tripod that you can set up anywhere? The Joby GripTight ONE GorillaPod is a great solution. It has flexible legs that are perfect for uneven surfaces and wrapping around objects. Click here to buy the Joby GripTight ONE GorillaPod for $27.08. 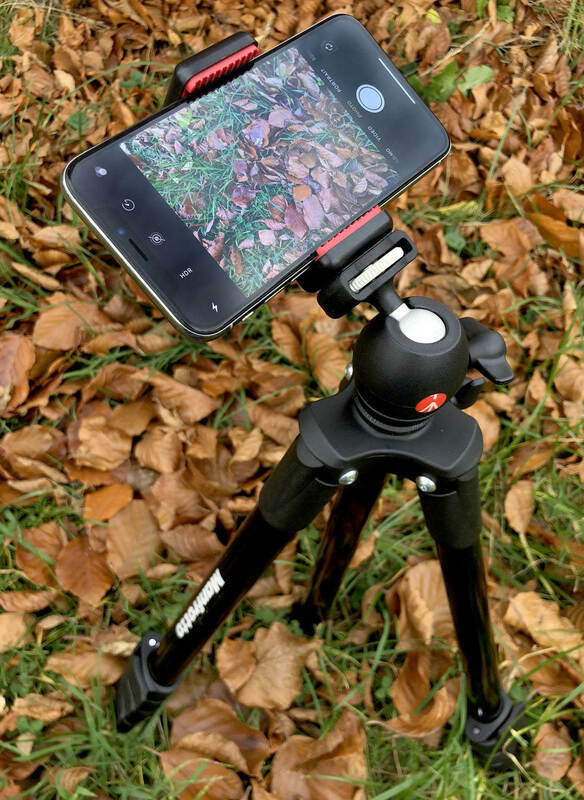 The UBeesize Smartphone Tripod offers incredible value for money. Despite its low price, this is a sturdy and flexible tripod. 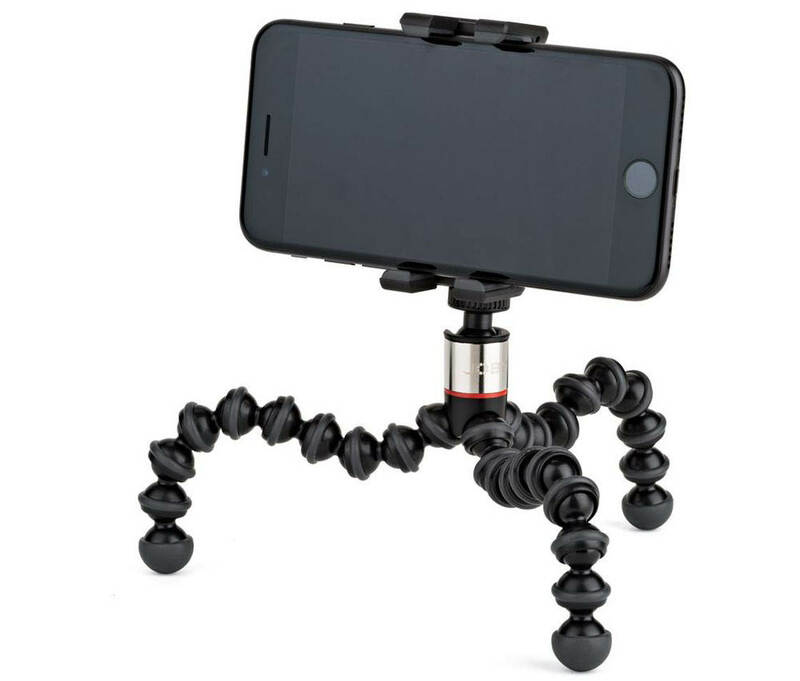 It has bendable legs like the Joby GorillaPod. But it’s 4 inches taller which gives you some extra shooting height. The mount grips your iPhone tightly, and it’s easy to switch from horizontal to portrait orientation.  The remote shutter release is an amazing added bonus! 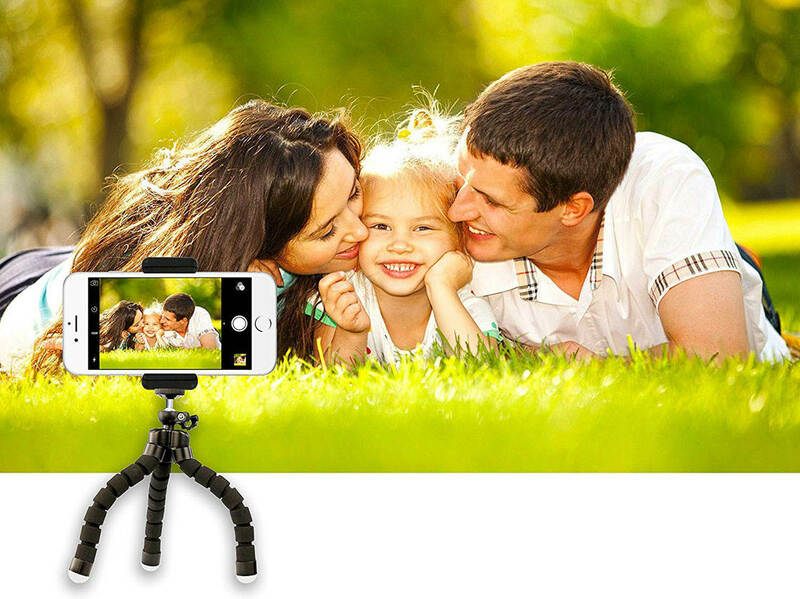 Click here to buy the UBeesize Smartphone Tripod for $13.98. Are you looking for a super-compact and portable tripod that easily fits in your pocket? You won’t get smaller and sleeker than the Joby GripTight ONE Micro Stand!  You can fold it completely flat when not in use.  And at just 1 inch tall, you can capture ultra-low angle shots with your iPhone. Click here to buy the Joby GripTight ONE Micro Stand for $19.99. Is strong and sturdy your priority? 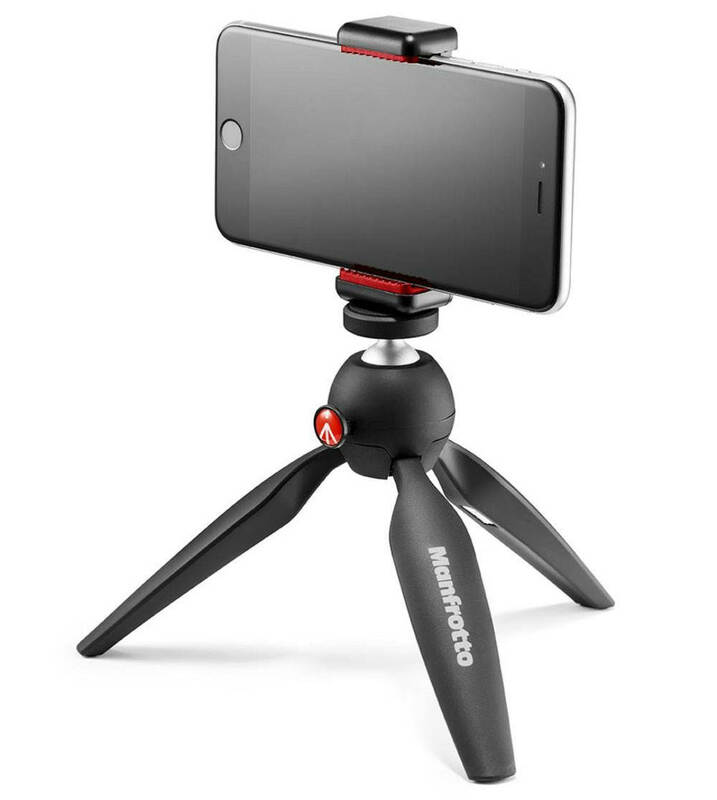 The Manfrotto PIXI Mini Tripod has wide legs and great build quality, providing a stable base for your iPhone.  It’s even suitable for larger digital cameras. The PIXI lacks the flexibility of the GorillaPod and UBeesize, but it keeps your iPhone rock-steady. 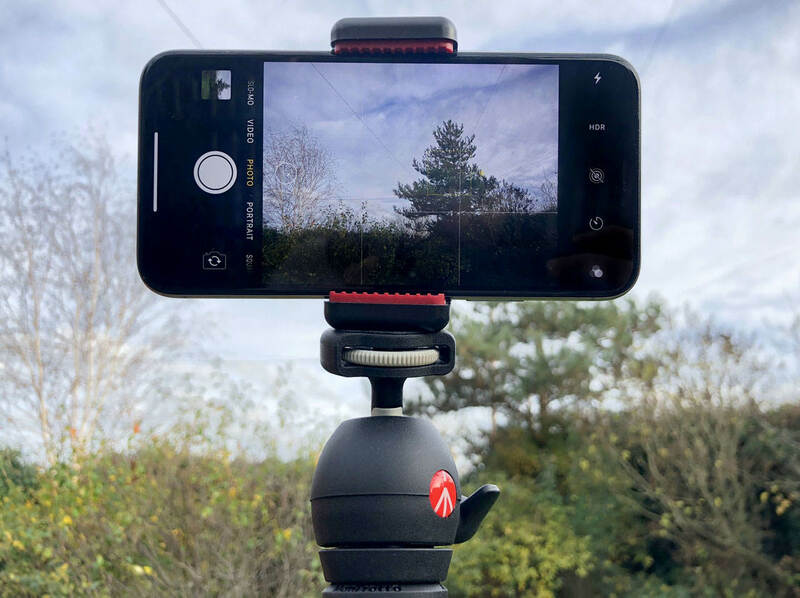 The Manfrotto mount has excellent grip, ensuring your phone is safe and secure. 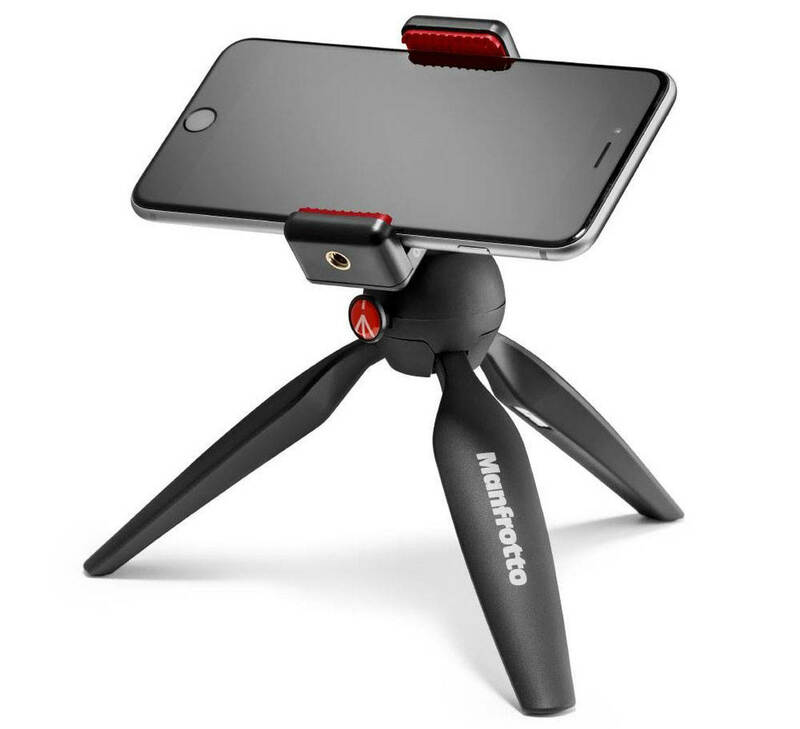 Click here to buy the Manfrotto PIXI Mini Tripod and iPhone Mount for $34.99. Would you prefer a full-size tripod for ultimate choice over shooting height? 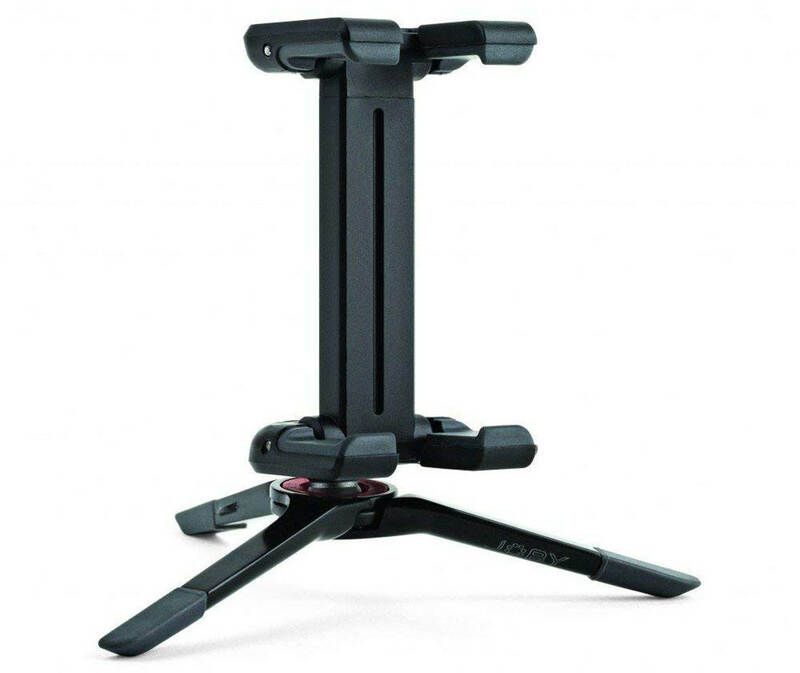 The Manfrotto Compact Light Tripod has extendable legs, with a maximum height of 51.6 inches. While it’s heavier than mini iPhone tripods, it offers a more professional approach to tripod photography. Compared to other full-size tripods, this one is lightweight and portable. 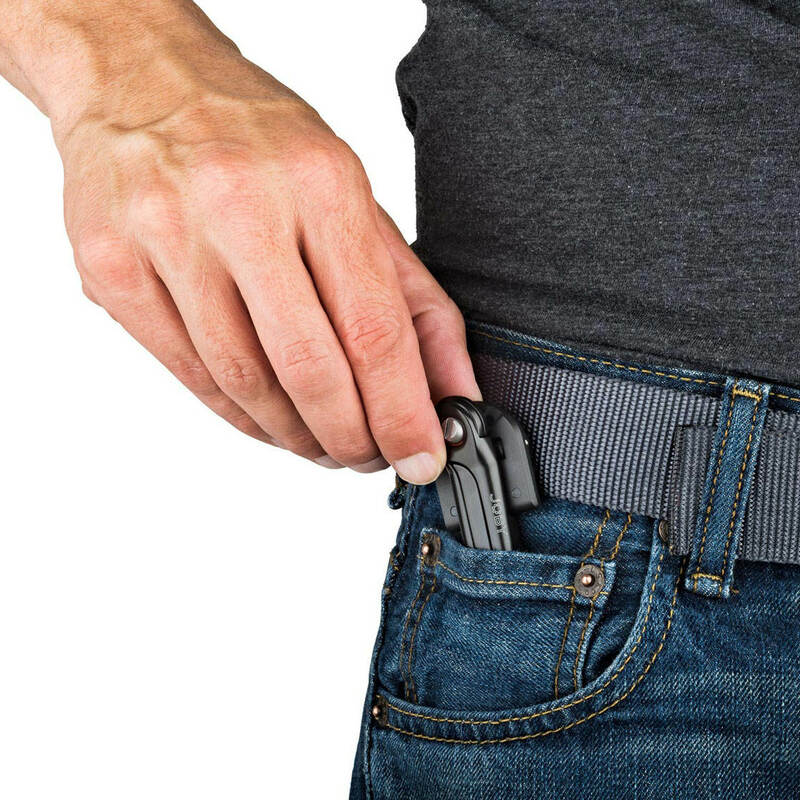 When folded down it measures just 15.7 inches, so it’s easy to carry around. 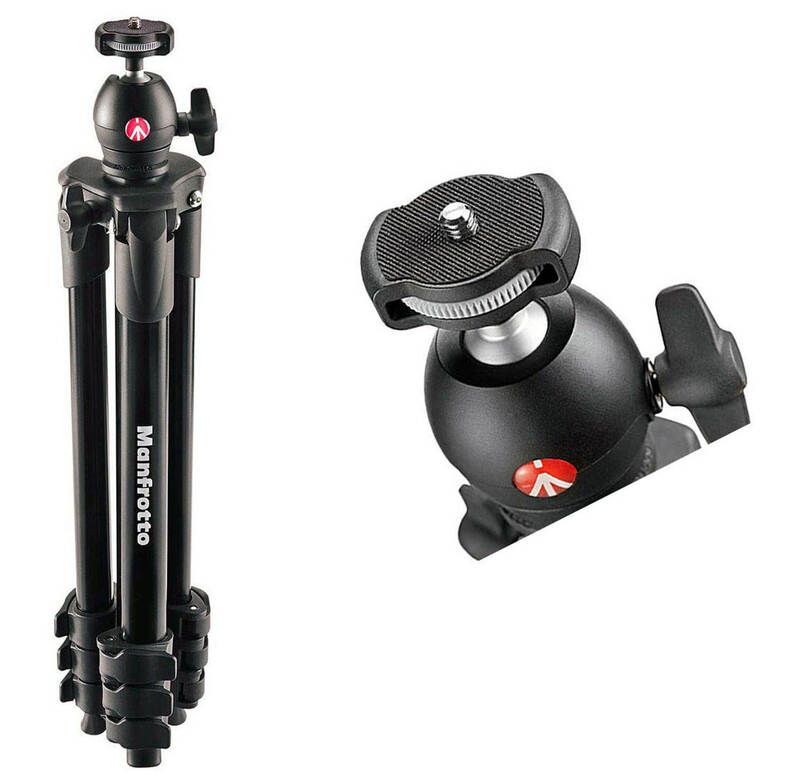 Click here to buy the Manfrotto Compact Light Tripod for $59.54. 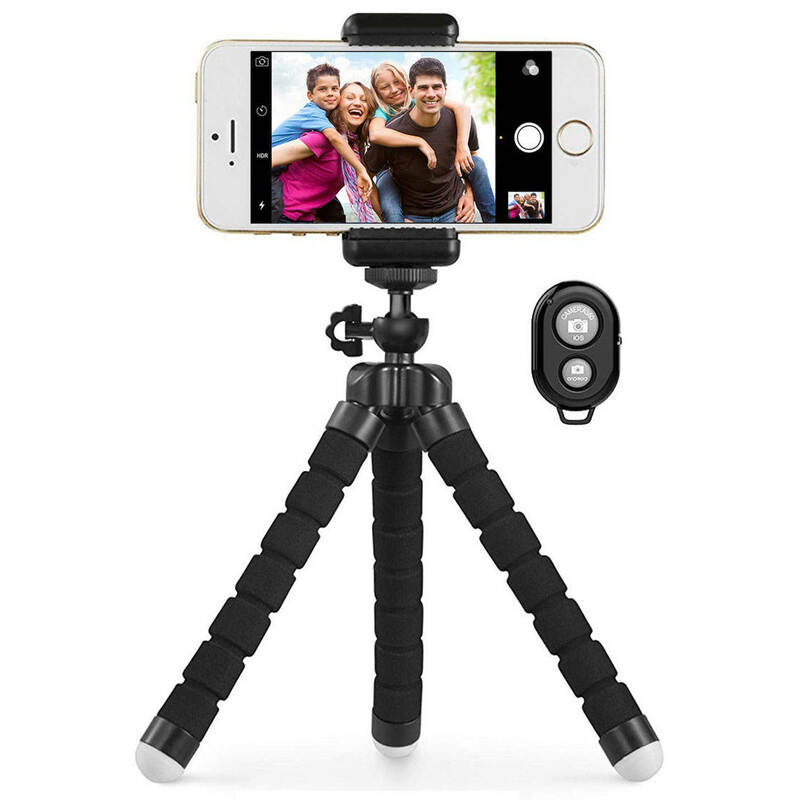 Or click here to buy the Manfrotto Compact Light with additional iPhone tripod mount for $59.99.